Just as humans go to the doctor, your car needs yearly maintenance in order to function properly. If you’re a new car owner or you’re not as car savvy as some, you might not know when your car is ready for a tune up. Never fear—there are set indicators that will help you determine if your vehicle needs repair and you can walk right into that repair shop with confidence. Here are 5 signs that you need a tune up! An illuminated “check engine” light: Luckily, your car has a built-in gauge that will tell you when something isn’t quite right. What does your “check engine” light designate? Likely that something is wrong with your emissions control system which could impact your fuel economy or engine performance. So, while it may be tempting to see it and keep driving, this isn’t something you can ignore long-term. A misfiring engine: A misfiring engine occurs when spark plugs ignite at the wrong time. This can happen because your spark plugs are worn or fouled. Bad spark plugs cause issues like hard starting, slow acceleration, and low fuel economy. If you think your engine is misfiring, it’s time to go in for a tune up. Either they need to be replaced or there’s another issue that you’re misreading as a misfiring engine (an entirely likely case as the engine computer often does a great job concealing worn plugs). Engine deposits: Low quality and contaminated gasoline create issues with your car. If you’re noticing engine deposits—which appear like asphalt—you’ll need to clean your fuel system. Head in to get a tune up and they’ll get you all sorted out. An old oxygen sensor: This one is a bit tricky because you can have an oxygen sensor in your car that still works but that’s hurting your fuel economy. Going in for a tune up will improve your engine’s performance and reduce any other existing problems. Sometimes pre-emptively having something replaced is a better option than letting it wear out entirely. Dirty and closed engine filters: Your air filter is actually more likely to reduce acceleration than fuel economy. This issue could happen gradually but make sure you note when you get your filter. If you haven’t had a new one for a couple of years (or sooner if you live in an area with a lot of soot) then this could be another reason to go in for a tune up. It’s a quick and easy fix for better performance. 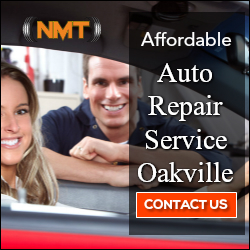 Next time you have any of these issues in Oakville; don’t hesitate to call ahead for a tune up. Our experienced mechanics can help you diagnose whatever problem you’re having with your car and then get you back on the right track in no time. If you’re prepared with any issues you’re having as well as the last time you were in for a tune up, you’ll be out of there in no time. Contact Us today!